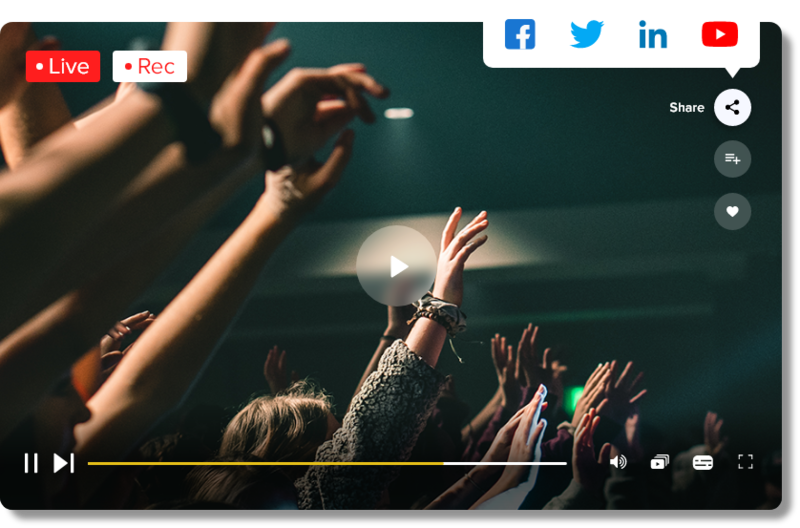 Reach your audience on any platform with Vplayed’s all-inclusive religious streaming opportunities. Don’t miss out on the benefits of both on-demand and live streaming. Live content can be stored in Content library for viewers to watch it on demand. Avail godly services in high pixel rate, with remarkable viewing experience. Customised lineups, search options and push notifications makes Vplayed’s OTT service one of its kind. Stream sermons in high definition with uninterrupted live religious streaming services. Our custom built HLS player is adorned with the latest technologies to provide high quality streaming services. Be assured your platforms stays autonomous while we do the work. Vplayed’s solutions are white-label - implying our part remains anonymous. Crafted to suit the needs of religious streamers, worship events for a global reach. Ensure buffer free streaming for all users connecting via various bandwidths of 3G, 4G or wifi through adaptive bitrate streaming. Vplayed’s custom build content management library makes maintaining your data take a professional stance with future compatible technologies. This feature enables worshippers to private chat with pastors or religious heads to request prayers, and also chat in groups if required. Vplayed provides its customers with unlimited storage and bandwidth allocation. Render clutter-free video suggestions and enhance your server performance with auto archiving feature. Screened password protected sign-ins, Data Rights Management,Encryption and watermarking ensures your data is highly secured.